Is Emma the Perfect Bella? The Beauty And The Beast is all set to make a reappearance on the big screen and this time it’s going to be a live action version. This automatically raises a very important question. Who is going to play the role of Bella? If you have been following the entertainment news, you know the answer to that already. For everyone else, surprise, surprise, it’s going to be our favorite gal, Emma Watson. The actress herself showed immense excitement about playing Bella when she tweeted confirming her role and saying that The Beauty And The Beast was a big part of her life when she was growing up. Here are a few reasons why we think Emma Watson as the new Bella on her next movie is a brilliant idea. She can dance, as seen on The Tonight Show With Jimmy Fallon, Emma Watson is no stranger to dancing. She is in fact, quite a pro. This is a clear advantage as we all expect the new movie to recreate the iconic ballroom dance when Bella dances with the Beast for the first time. She has the perfect looks to play Bella, when you think about there is no one more suited to take on the role of as far as appearance is concerned. Her natural and innocent looks closely resemble the beauty of the original animated character. She even has natural brown hair like Bella herself. She has good experience playing fantasy roles. If the Harry Potter series says anything about Emma Watson is that she fits right in when playing a character in a fantasy movie. Her millions of global fans recognize her in this setting and love what she brings to the scene. 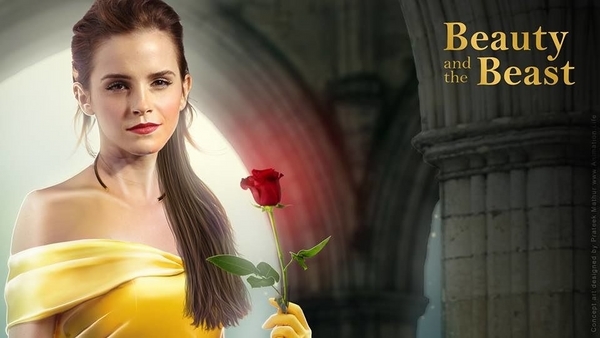 The Beauty And The Beast is all set to hit the theaters March 2017. We can't wait to see Emma Watson bring the iconic Bella to life.